The Hmong Bua are a separate ethnic group, with a common identity, within the Miao nationality. The Hmong Bua in Jinping and Vietnam call themselves Hmong Dlo or Hmong Bua, meaning "black Hmong." In Weixin the autonym used is Hmong Si. 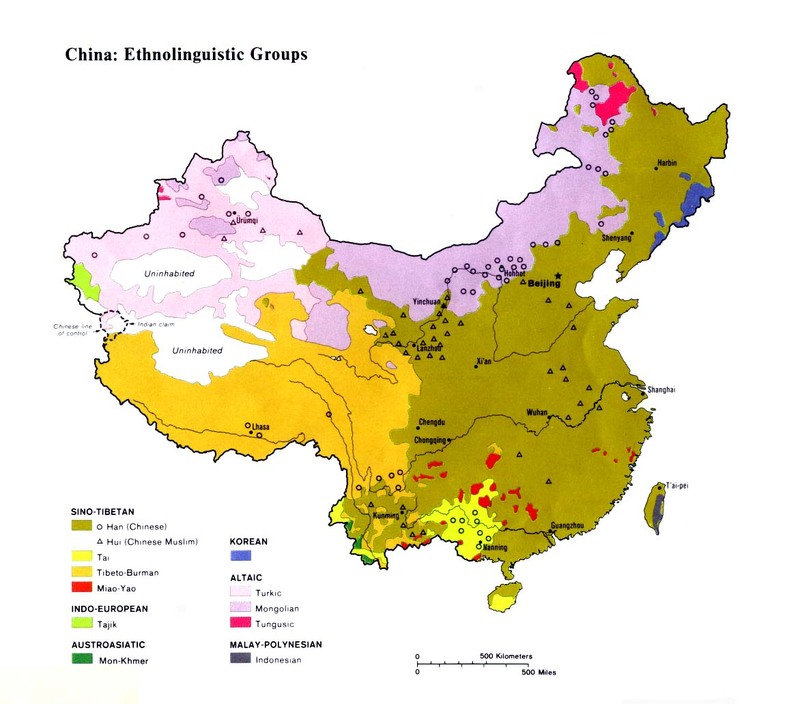 It is important to note that this group is not related to the large Hmu group in Guizhou, who were also called Black Miao by missionaries in the past. Linguist Michael Johnson notes, "In the Weixin- Xuyong area the Hmong Si are ethnically closely tied with the Hmong Leng, another Northern Hua dialect." The Hmong Bua now living in southern Yunnan and Vietnam arrived in the region about 200 years ago. In contrast, the Hmong Bua in the northeastern Yunnan- Sichuan area first arrived there in 1573. After several generations of separation from their homeland, the Hmong Bua developed their own identity. Today most of the various Miao subgroups in China do not acknowledge kinship with each other, even if they speak the same language. Hmong Bua women's clothing features a black shirt, similar to the Hmong Leng, with embroidery on the cuffs. "The skirt is also dark ... with oblique squares of cloth sewn to it. Women often use a small waist apron as a head covering." The majority of Hmong Bua are animists. In recent years the Hmong Bua in Jinping may have benefited from the Christian "radio revival" among the neighboring Hmong Daw, who speak a similar language. As many as 20,000 of the neighboring Hmong Daw people have turned to Christ in southern Yunnan since 1994, due to gospel radio broadcasts produced by the Far East Broadcasting Company. The Hmong Bua are able to understand most of the Hmong Daw language and have probably been affected also. Many Hmong Bua could potentially use the Hmong Daw and Hmong Njua Scriptures, but very few are literate. Scripture Prayers for the Hmong Bua in China.